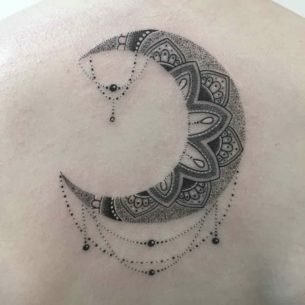 Dotwork tattoos are created with a special technique which becomes the separate style in the modern tattoo art. 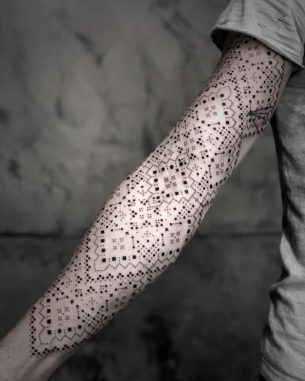 According to its naming, it is clear that drawings, in this case, are formed of a huge amount of dots not connected with each other, so there are no conventional lines as in any other techniques, these dots form beautiful body drawings called dot work tattoos. The technique came from the ancient times and African cave paintings dated by the 6-7 thousand years B.C., are proofs to this. 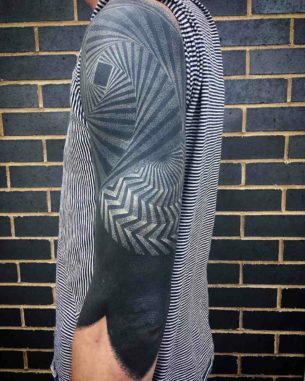 They depict people with a skin decorated with ornaments made of dots. It is also believed, that the dotwork style was created under the influence of the neo-impressionistic branches of the art of the end of the XIX century – pointillism, based on short dot-like brush strokes. 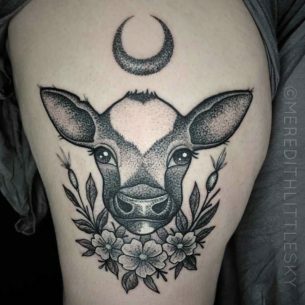 The popularity of the style started growing in the 90-s in England where the first geometrically shaped tattoo of black and white dots were made. Soon these body drawings were admitted to be masterpieces and became famous worldwide. These are very sophisticated designs forming not simply the drawing but a real artwork with plots and emotions. 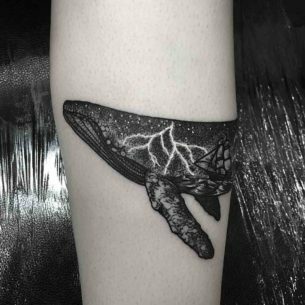 Dotwork differs a lot from other tattoo styles and has several distinctive features, the main of which is the abstract nature of the design and its high contrast, giving the possibility to see the image in a tattoo from a long distance. Different colors can be used, however, the most used ones are black and red. 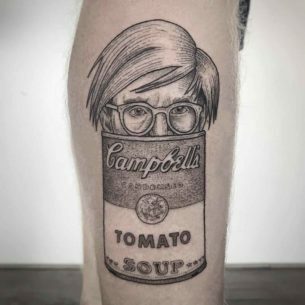 Using only these two contrast colors sophisticated artists can create splendid high-saturated designs and get with the help of them good-looking tattoos as a result. 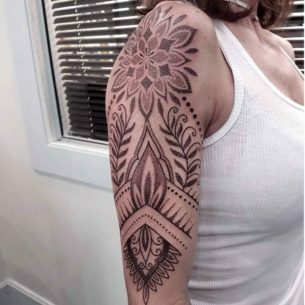 Dotwork style does not have any limits, even the portrait tattoo can be created using only this particular technique and this image would look even better than if made in other styles. 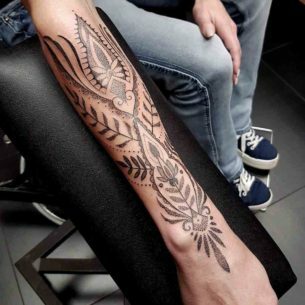 Another great advantage of dotwork tattoos is the abstract nature of the tattoos making them “alive” and one will never get bored with them. 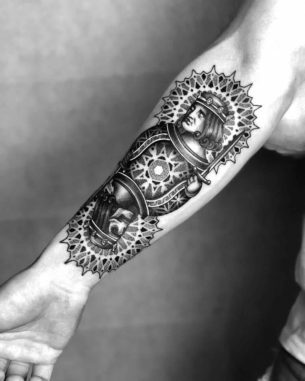 However, to only talented and skillful tattoo artist are capable of making a good dotwork tattoo. This job is very difficult and requires some special skills and way of thinking. 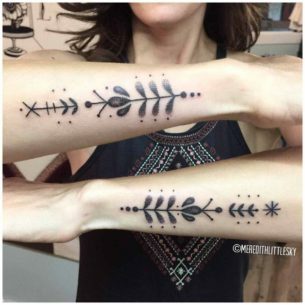 Having a tattoo machine and to have some drawing abilities is not enough you have to think mathematically and have some skills designer experience. 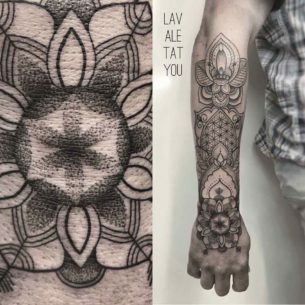 Dotwork tattoo artist has to build the design and locate its elements using vector graphics, calculating a perfect symmetry and thinking carefully about the composition. 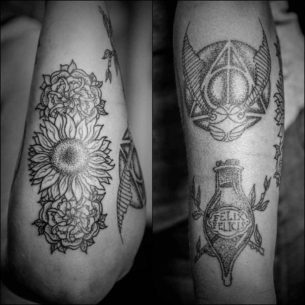 Such a hard and delicate work ends up in a big scale tattoo designs. 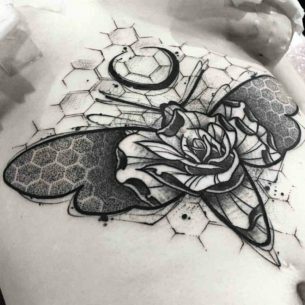 However, big tattoos are nearly never created with dots, ‘cause it is useless: dotwork should fit its size and size of the dots because all the drawing depends on the density of dots and it wouldn’t have the obvious effect in big scale. The basic principle of dotwork style is the density of dots. For more light parts of tattoo artists make fewer dots and increase their amount for the darker parts of it. 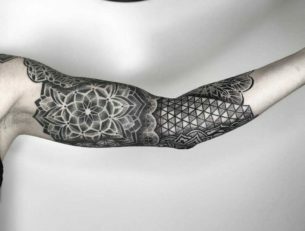 And to make even a simple dotwork tracery artist has to spend a lot of time practicing and to have total control of his equipment. That makes possible for an artist to create not only ornaments but even complex realistic portraits. 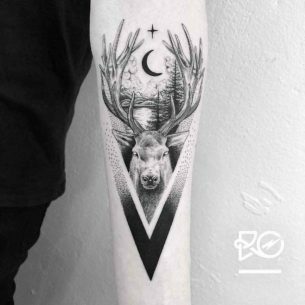 Also, the new thing in this traditionally monochrome style is adding some extra red color dots or stripes to make the tattoo brighter or to underline the most necessary parts of it. 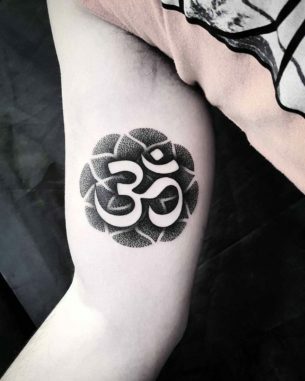 The tattoo ideas are different, they could be inspired by any kind of image, but the most common are ideas based on ornaments of geometrical figures, traceries, flowers and religious symbols. 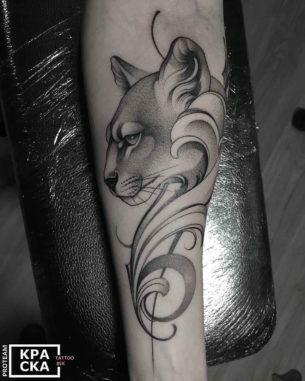 It also can be a good background of other styles tattoo designs, for example in combination with old-school or trash polka. 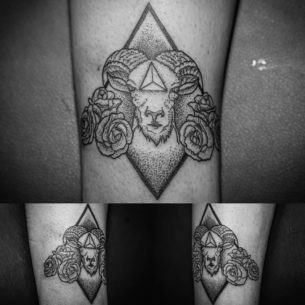 Dotwork tattoo style is ideal for people willing to be remarkable with original body drawings. It is guaranteed that you would draw a lot of attention as each of designs of this style is a unique masterpiece.